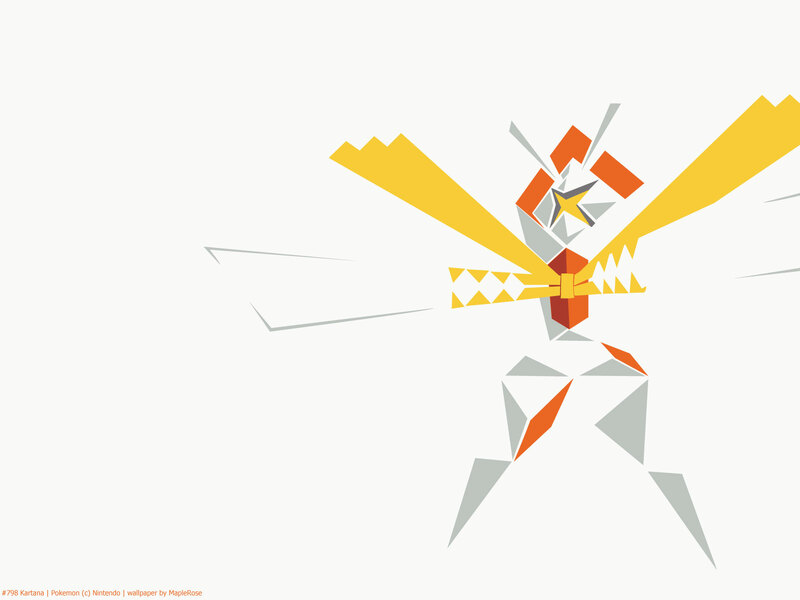 Kartana is my favourite Ultra Beast in terms of design, probably because I like origami and samurai. It was known by its code name UB-04 Blade. It’s the smallest and lightest of the Ultra Beasts, at only 0.3 m (1″) tall (which is the same height as Eevee), and weighing only 0.1 kg (0.2 lbs). In fact, it’s tied for being the lightest Pokemon. While its body is probably made of Steel (or something like that), since it’s Steel type, it is described to be as thin as paper. 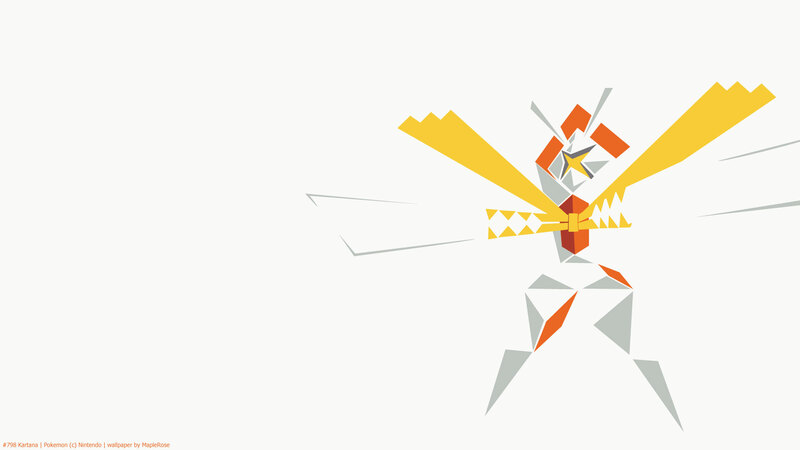 Kartana is version exclusive to Sun (where you can get 4) and Ultra Sun; it’s the counterpart to Celesteela (which is one of the biggest and heaviest Ultra Beasts). Stat-wise, it has really high Attack, high Defense, and pretty high Speed; but really low Sp Def and HP. Its stats are pretty min-maxed. It has the highest Attack of all Grass and Steel type Pokemon, and tied with Ferrothorn with highest Defense of Grass type Pokemon. 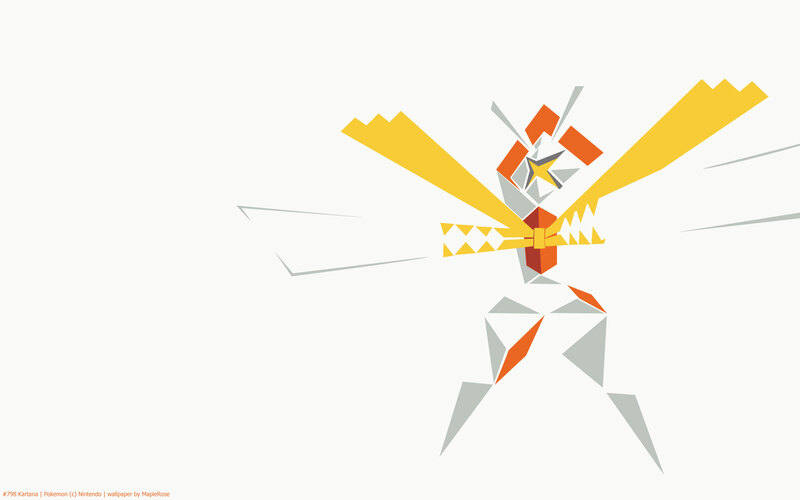 It also has the lowest Sp Def of Steel type Pokemon.